Are you happy with the budget deal? 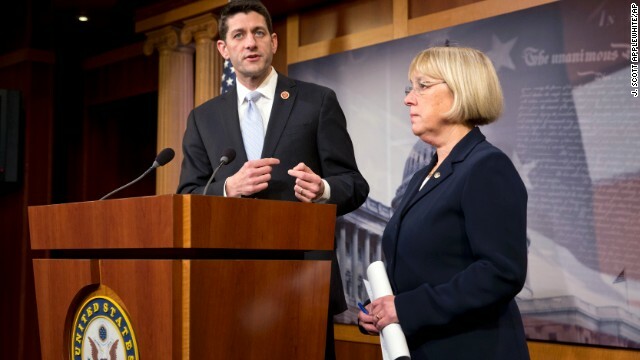 We want you to weigh in: Are you happy with the budget deal? and action to get rid of it. Carb counting gets very simple with this gadget and you can also get other nutrient information for the exact serving which you plan to eat. While you're on the program, you may have blood work and doctor appointments regularly to monitor your health and progress. Wow – They actually worked together and got something done. We still need the details – But, let's all hope that it's in the best interests of the American people that they're supposed to represent. Maybe this will be a good start. Because Americans still need our elected leaders from both parties to start working together on actually trying to fix the real problems in our country like outsourcing, illegal immigration, the out of control costs of health care insurance and our reliance on foreign fuel. Now if our leaders would really start making decisions based on the fact that they are elected by the Citizens of the United States of America to represent the best interests of those citizens and the country itself, we'd all be better off. The American people just need them start remembering that they are NOT elected to represent the Global Market Place, lobbyists or foreign citizens! The extended unemployment benefits need to be renewed. We need to make smart cuts, but massive cutting just puts more people on unemployment, which just depresses the economy even further. Let's face it – Over the last 2-3 decades both parties have been selling out the bulk of the American citizens, who they're supposed to represent, by allowing the incursion of illegal aliens (cheap labor) and the "out-sourcing" floodgates to open wider and wider without taking any sensible measures to stem the tide.